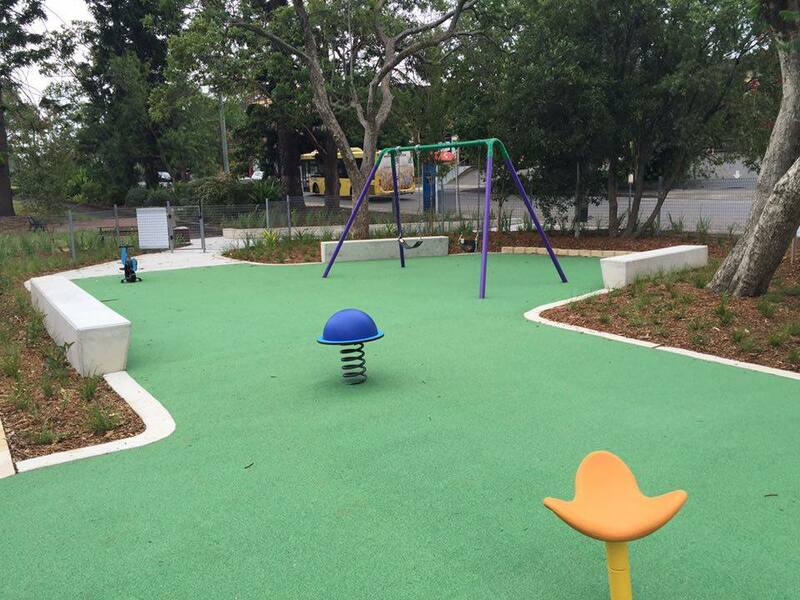 As we said, this playground has always been winner, particularly for crawlers, toddlers and pre-schoolers. 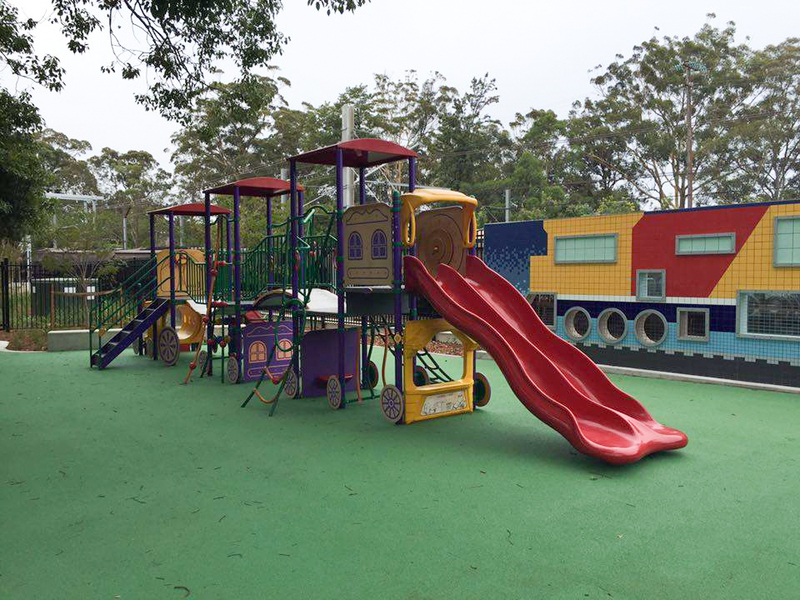 The popular train-shaped play equipment remains and the swings have been repurposed. But importantly there’s now a lot more space – in fact the fenced area is about twice as big as before. There are a few new pieces of equipment, new seating and a water bubbler… but the best new addition is the train spotting wall. There are a couple of cons to keep in mind if planning to visit. Unfortunately in the morning most of the playground is unshaded (there’s some shade on the bench seats) although the shade comes over in the afternoon. On hot days the equipment gets hot early. The toilets are a bit of a trek into the arcade at the shops, so maybe swing past them on your way so you know exactly where you’re headed when you get your 10 second warning signal for toilet time! You can usually find a parking spot easily and it’s free, although timed (largely 2 hours). Those living in the upper Hills are probably thinking it’s a long way to drive for a playground. Well, let us tempt you some more! 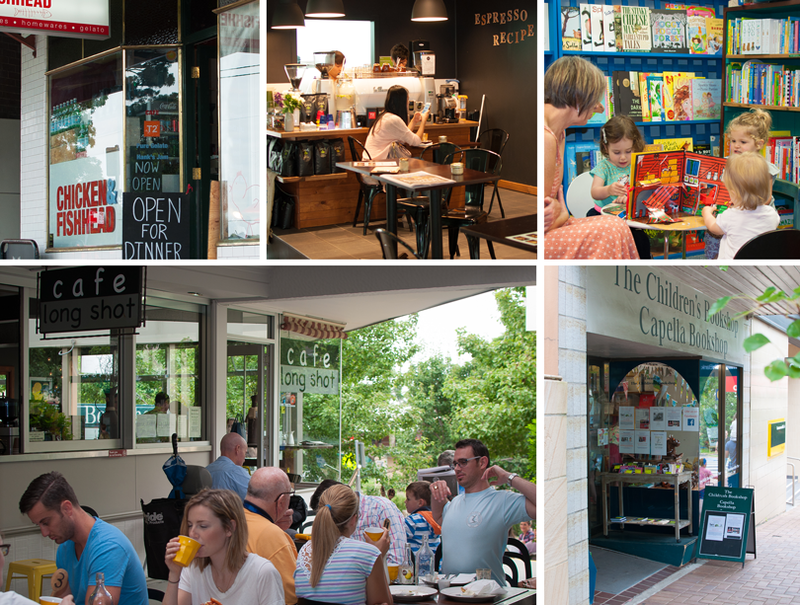 Beecroft has a lovely village feel to it and there are some seriously good cafes that boast excellent coffee, as well as a few great little gift shops. 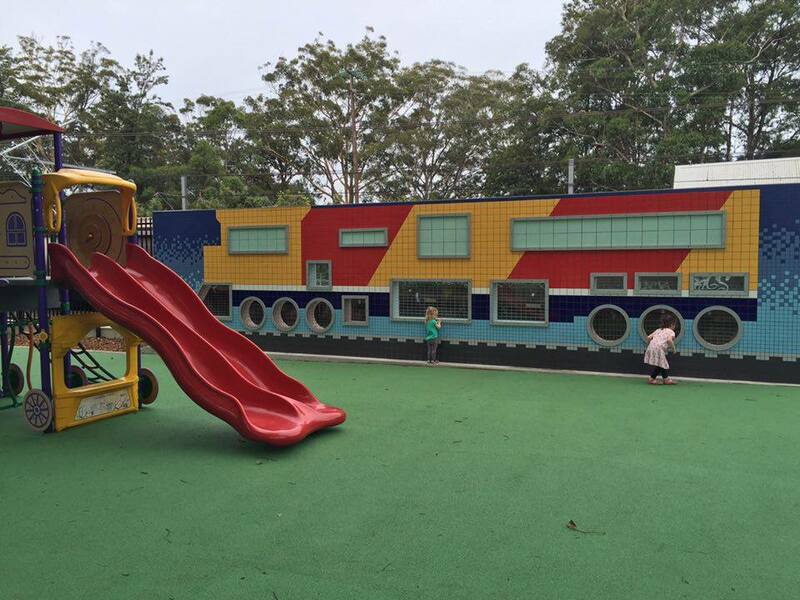 There’s the cool Longshot Café which is often teeming with mums. Chicken and Fishhead combines coffee with a cute little kids clothing store up the back. And there’s Espresso Recipe (owned by a Hills District Mum) that does great Campos coffee. All three do great milkshakes for kids and are definitely worth the stop on the way to or from the playground. And once you’re finished at the playground, there’s the very sweet Children’s Bookshop on Hannah St which is worth a visit. Established in 1971, it’s a bit of a local icon, as well as a rarity these days unfortunately. You could even time your visit around the free story time for pre-schoolers held on Tuesday and Friday mornings at 9.45am during school term.